Seat was awarded the internal contract to build the Audi Q3 at its factory in Martorell, Spain, but jobs aren't the only thing the Spanish subsidiary of Volkswagen may get out of the arrangement. According to a new report from What Car?, Seat will receive a production version of the IBX concept on the same platform. The IBX show car was unveiled last month at the Geneva Motor Show, packing a hybrid powertrain and coupe-like three-door bodystyle. When it enters production - tipped for sometime next year - it is likely to more closely follow convention in both drivetrain and layout. The last time Seat developed a crossover was with the Tribu concept of 2007, though its production was halted midway through its development process when the global economy began to tank. [Source: What Car? 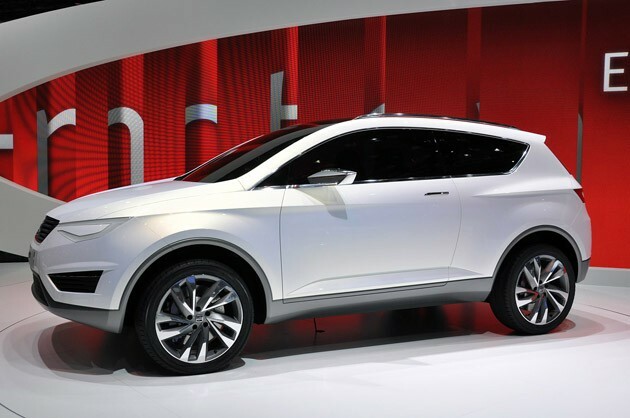 ]Seat to build IBX crossover based on Audi Q3 originally appeared on Autoblog on Wed, 27 Apr 2011 18:40:00 EST. Please see our terms for use of feeds.